This post is based on a study day I had with Priti Acharya. As general dental practitioners, we often ask ourselves when we should refer patients for an orthodontic opinion and what cases may be suitable for treatment under the NHS? Whilst orthodontists will not mind seeing patients earlier rather than later, there are certain cases where early referrals are important. What we should remember, it's not really the age we look at when assessing a child's dental development, but more so the chronology i.e. are the teeth erupting in the correct order? If we identify a habit like this, we should try to discourage this habit, at least so the child no longer does so by the age of around 6 i.e. when the permanent dentition comes through. Horizontal parallax techniques have been shown to be more reliable than vertical parallex (88% vs 69%), but the increased use of CBCT can also shown if there has been any resorption. Parallex can also be used to identify the position of ectopic canines. Majority of normally eruption upper canines are palpable bucally by 10-11 years. A Cochrane review has shown that there is little or no evidence to support the extraction of primary maxillary canines to facilitate the eruption of palatally ectopic permanent canines, but sometimes it is still done as there is no harm come by the extraction of these teeth. 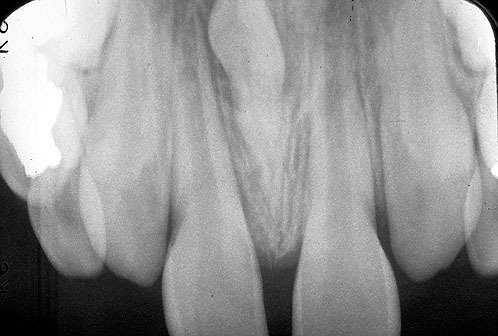 1-5% prevalence where a tooth is below occlusal plane of adjacent teeth. When you tap this tooth (usually a primary molar), you will hear a high pitch sound which is a result of the tooth becoming ankylosed. Extracting these teeth can be difficult and they are more common in the mandible than the maxilla. What can hypodontia (missing teeth) be associated with? Our role as GDPs is to make sure we refer patients when appropriate and early if need be. Every patient is entitled to an orthodontic assessment, so even if you're not sure a patient can be treated under the NHS, refer! We also need to provide maintenance care during orthodontic treatment with regular exams and prevention and if the orthodontist requires any extractions we can provide this treatment too. Maintenance doesn't just stop when the patient has finished their orthodontic treatment. 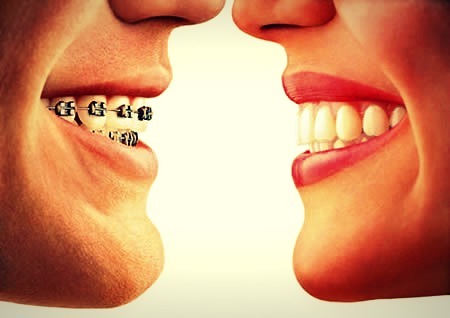 Often these patients will have wither fixed or removable retainers so ensuring they follow their orthodontist's advice for LIFE is essential to prevent relapse. When would you refer a patient to an orthodontist early? Let me know your thoughts in the comments section below!